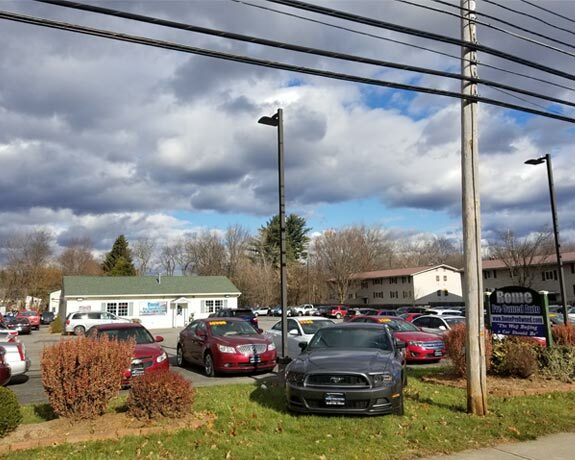 Your Used Car Dealership in Rome, NY! Welcome to Rome Pre-Owned Auto Sales in Rome, NY, and thank you for visiting our website! At Rome Pre-Owned Auto Sales, we stock a fantastic selection of high-quality used vehicles at a full range of prices for car buyers in Central New York. Our family-owned dealership has been working hard for years to provide drivers in the Rome, Utica, and Oneida areas with an excellent resource for used cars, trucks, and SUVs in a wide variety of makes, models, colors, and styles. We also offer quick and easy financing for buyers from all financial backgrounds and a highly trained team of technicians that will keep your next vehicle in great condition for years to come. Our focus on providing a high level of customer service is part of what lets us create the best possible car buying experiences for our valued customers in Central New York and beyond. Please contact us with questions regarding any of the great vehicles you see on our site or visit our Rome, NY location today! We can't wait to find you the car you've been looking for. Fill out our Referral Form and bring in a qualified buyer to Rome Pre-Owned to purchase their next vehicle and we will pay you $100 in cash. Discover an Incredible Selection of Pre-Owned Vehicles! At Rome Pre-Owned Auto Sales, we’re known for offering a fresh and unparalleled selection of high quality used vehicles from all the major manufacturers. Whether you’re looking for a Dodge truck, a Ford Sedan, a Jeep SUV, or perhaps something in the high-end foreign luxury class, Rome Pre-Owned Auto Sales has something for you. Our diverse selection is handpicked to appeal to any and all types of drivers; from the family looking for a rugged and versatile Crossover SUV, to the daily commuter looking for an efficient, yet speedy coupe to cruise the freeway in. For first time buyers, we offer an impressive selection of pre-owned Hondas with newer low vehicle mileage and an affordable price tag, coming in under $10,000. Not only is the selection astounding, but we also put our vehicles through a rigorous multi-point inspection before they hit the lot. This means no matter what make and model you drive off in, you can rest easy with the peace of mind that comes with purchasing a certified tested vehicle. Maybe this all sounds great, but you’re looking for something a little more luxurious than a daily driver. Well, not to worry, Rome Pre-Owned has a car for you too! We strive to stock an unmatched selection of pre-owned imports and luxury vehicles. Our models from top-tier manufacturers like BMW, Acura and Lexus are sure to catch some attention on the roads and look amazing in your driveway. To view our full selection of Pre-Owned Vehicles, or to ask questions about any of the cars you see on our site, contact us or visit Rome Pre-Owned Auto Sales in Rome, NY today. Our broad range of pre-owned vehicles means that no matter what your current financial situation may be, we will be able to find and finance a high-quality and reliable car for you. Whether you have perfect credit, your score needs work, or if you're a first-time buyer, the experts in our finance department will be able to set you up with a competitive low rate and a monthly payment that you can afford. Our finance team has excellent working relationships with all local lenders, and we can't wait to put our experience to work for you! For the best possible service in our finance department, we encourage you to get pre-approved online. This will streamline your buying process and avoid any wait times as we find the most competitive rates for you. To learn more about the financing opportunities available at Rome Pre-Owned Auto Sales, contact us today. At Rome Pre-Owned, we aim to be your only destination for expert auto service throughout the lifetime of your used vehicle. 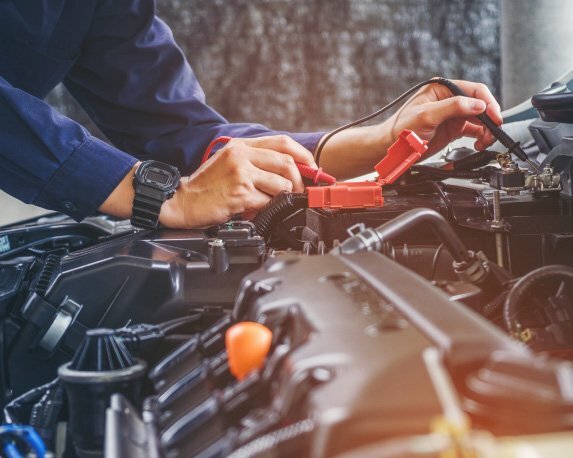 That’s why we staff a full-time Service Department comprised of highly qualified technicians and mechanics; all eager to get the job done right and on time. We can provide you with any repairs or routine maintenance services you need in a timely manner and are ready and able to take on any job no matter how big or small. It doesn’t matter if you’re looking for something simple like a tire rotation or have a major project like a transmission repair. We’re here six days a week to keep your car running as smoothly as the day you first drove it off the lot; even if it wasn’t our lot. Not only that, we also provide a frequently updated list of service specials to make it easy to maintain your vehicle on a budget. Contact us with questions about our service department, or use our website to schedule your next service online. We are not only 100% happy with the car we bought but we are just as pleased with the people selling us the car. Friendly, informative, easy to relate to - these guys are professionals all the way. We found them on-line (we live in Amsterdam, about 65 miles away) because we just couldn't find what we wanted in the Capital District area. They not only had what we wanted but they had two of them! We drove up with a preliminary decision made on which one to buy but they were able to explain why the other better suited our needs. And to show their honesty, the one they recommended was actually the lower priced car. We believe that no one could go wrong buying a car here. Worked with Matt to buy my new car. They made the experience very pleasant and easy. When I picked the car up, it was freshly detailed, inspected, new tires, and drives great. The car was listed 2,000 under blue book value in excellent condition. Great deal with no haggling or bartering needed. Overall great experience. Thanks guys. This place is awesome! Jesse and Matt are great! I called about a van they had, and there was ZERO pressure. They have a great system here. It's all about the customer, and being someone that has bought a lot of cars, that is so refreshing. Going to a big dealership can be so stressful, but these guys made it so awesome. They will for sure have my repeat business. Almost all their vehicles are priced under NADA value as well. Bought a 2008 Chrysler town and country. Thanks guys! Jesse and the other guys (and gal)at Rome Pre-Owned Auto Sales were all awesome! They were friendly, helpful, and non-pressuring, which made my first car buying experience relaxed and very easy. I shopped around a bit before I found them. Everywhere I went the dealers tried to sell me what they wanted me to buy, not what I wanted, they weren't even listening to me! I can definitely say Rome Auto Sales were the best people I dealt with and they had a an extensive selection of quality used vehicles at very fair prices. They are VERY honest. AND they threw in an extended 60 day warranty, SCORE! I will definitely recommend them...in fact I already have. Thank you for everything and truly listening to me. It means a lot. My experience at Rome Pre-owned was absolutely outstanding in every way. It was the most relaxing car buying experience I've had, and I never felt pressured. Matt and the rest of the crew answered all of my questions and I got a great car at a great price. I'd give them more than 5 stars if I could! Thanks for an awesome car and a great experience! I really appreciate it. My experience with Rome Pre- Owned was nothing less than exceptional!! I had the most friendly, fun, easy and speedy car buying experience ever! I walked in and felt right at home. I seriously viewed my vehicle online at 9am and drove it off the lot within 6 hours! Matt was very friendly and attentive to all of my needs! I absolutely love my new vehicle and would recommend this dealership to anyone! I actually already have... Thank you so much! Over many years I have had many bad experiences with car dealers. I kept checking on Rome Pre-owned auto sales for weeks online since I needed another car, mine would not pass inspection (15 years old and it was very tired). I finally thought I need a car, go check out this place. I did and I am extremely thankful that I did. There was no pressure at all. Jesse answered all of my questions on the vehicle I was interested in and everything on the bank I would be using. He made my buying experience so easy that I will gladly tell anyone if they are interested in a vehicle they need to check out Rome Pre-owned Auto sales. You will not be disappointed in the care you receive. My experience at Rome pre owned auto was exceptional. The customer service was outstanding. i told them what i was looking for and how much money i had to spend and they showed me several vehicles and i picked the one of my liking. in 24 hours i had my new ride. Everyone in the office was friendly and still are. Just excellent! Alway a great time at Rome pre-owned! I have bought my last two vehicles from them and drive over an hour and will never buy anywhere else! Great at keeping in contact and returning e-mails/phone calls and do not pressute at all for a sale. Jay and Jesse are great and go out of their way to keep their customers happy and make sure their vehicles are in top shape and pristine condition when picked up. Plus if you find anything wrong with the vehicle after you take it they are more than happy to fix it for you! I would HIGHLY recommend buying from Rome pre-owned!!! I Bought my first car from here, and just recently bought my newest car from here as well. I've Never had a bad thing to say about Rome Pre-Owned, or their staff. Jay always goes above and beyond to make sure I'm always taken care of. Even after my warranty had expired. His #1 goal is always customer satisfaction. I will absolutely buy from, and recommend Rome Pre-Owned in the future! We recently bought our vehicle from Rome Pre-Owned, I can honestly say from the first phone call to taking delivery of our new vehicle was perfect! They handled our financing and managed to get us lower payments on more vehicle then the first store we shopped. They offered a better warranty, and had service record for the vehicle we bought. CarFax info was offered upfront as well. Jesse & Jason THANK YOU!! I am so far very thankful that I purchased a car from this business. Very friendly. Very pleased.I have had my car for 3 moths now. I would recommend this place ! I have to say that this was the best car buying experience that I have ever had. I brought up the discrepancy that I found on-line (Auxiliary port for audio was not there) , and they not only apologized for advertising incorrectly, but they honored it by getting one put in! They also recommended that I financed with a FCU, so I got an amazingly low APR! Over all very happy with my perchance! Thanks a lot Jay for everything, I love the jeep. Great sales service I will be coming back the next time I need a vehicle. thanks again! Staff was extremely friendly and fast responsive. Totally willing to do business with anyone, and very personal. Would completely recommend to anyone looking for a car around central New York! Justin, Jay and Jesse completely know what they are talking about. Very satisfied! Found a great deal and was helped very well. Definitely one of the better car buying experiences that I've had. Big thank you to Jay. We love our truck, and we're happy we chose Rome Preowned for our next car purchase. Keep up the GREAT work.! We love our New truck and couldn't of been happier doing business with Jay at Rome Preowned. Great buying experience, definitely check him out for your next car purchase. After a pretty nasty accident, I was left without a car so I started the dreaded process of used car shopping. After spending a few days at dealership after dealership I ended up at Rome Pre-Owned. What a difference!! Friendly, not pushy, let me "shop" without trying to convince me what I wanted/needed. Out of all the dealerships I went to, they were the only ones that let me pick out the ones I wanted to test drive, layed out the keys for me in the office and just let me drive each of them alone. For me, that was a huge selling point! There's nothing worse than test driving a car with a sales person in the passenger seat next to you! The finance part was pretty much just as easy. A quick application in their office and I was called the next morning by the bank and given a time that afternoon to go in and complete my paperwork. A quick email with my insurance cards and I picked up my new truck the next day. The truck came with a 60 day bumper to bumper warranty. I waiting out my 50ish days then called them last week to let them know some very minor issues I wanted looked at. They got me in in a day, fixed all the small, normal used car issues and I picked up my truck at the end of the day. If you're looking for a used car, take the 15 minutes to check them out. It will be worth your time! Experience was awesome! Justin was great at helping me out with everything from asking about a getting a new vehicle to driving it out of the parking lot. I would highly recommend going to Rome PreOwn if looking for a new(er) vehicle, or as I joked, a vehicle from the 21st century (I was driving a 99.) 5 STARS!! If you are looking for an honest, fair, PLEASANT car buying experience see Jason, if you want the stress, pressure, you''re a number, your wasting my time attitude this isn''t the place for you....I didn''t think this up front honesty existed any more at a care dealership....IT DOES HERE!!!! Probably this most pleasant care buying experience I''ve ever had before and after the sale......I''ve bought vehicles over the years in multiple states, countries, new and used. My name is Brandon and I've lived in rome for over 15 years, honestly I can say this is the best dealership I've been to around this area. They don't presure you into anything and they make it easy. I've brought two cars from them and they both run great. After finding myself without a car after a run in with an errant log placed in the road I was on the hunt for a replacement Saab that I could afford. My insurance company only paid out about 1/3 of what I had purchased my now wrecked vehicle for only months before. I sent a note to Rome Pre-Owned via the link I that had been found in my online searches. In what seemed like only minutes I received a call from Jay. He was friendly and opened the conversation with "please do not think my comments about this car are from your typical used car dealer..." I was looking at a 15 year old Saab and the pictures looked great. Jay told me his thoughts on the vehicle and that was enough for me to make the 2.5 hour drive to his dealership. I took the car for a test drive and everything was just as Jay had said. We had the paperwork done in short order by his assistant. Within and hour or so I was on my way back home with the "new" Saab. The entire staff at Rome Pre-Owned was helpful and ha ppy to provide any assistance they could. I will certainly be calling Jay if and when the need arises for another vehicle. Even though the distance was somewhat out of my general area it was worth the trip.